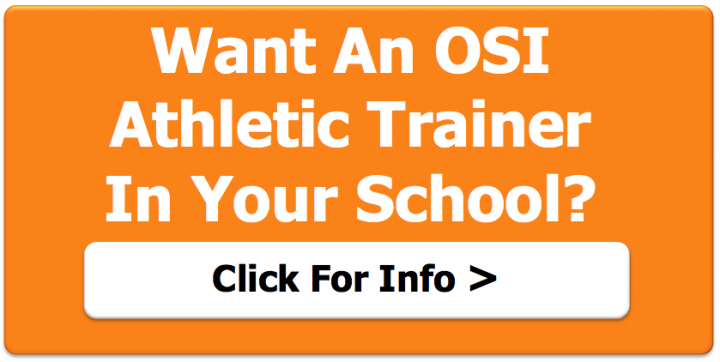 Are you an athletic trainer or thinking about becoming one and wondering where you can get a job? If you have an Athletic Training degree there are many places you can work. Here are a few places you may find an athletic trainer working. Today many physicians are choosing to hire athletic trainers as a part of their office staff. Athletic trainers in the clinic setting participate in the triage of patients, take patient histories, perform injury evaluations, and providing instruction on exercise prescriptions, rehabilitation and general patient education. Sometimes the clinic setting is in conjunction with a high school setting where the Athletic Trainer does both. Athletic Trainers are becoming employed more and more in hospitals, clinics and orthopedic/sports medicine clinics. Athletic Trainers who serve as a Physician Extender help improve productivity and patient outcomes and satisfaction. They help move patients more effectively and efficiently through the appointment, evaluation and treatment process. No need to join the military to work in this setting and if you are in the military you cannot work as an athletic trainer. However, you can be contracted out as a civilian worker, working as an athletic trainer. Athletic trainers who are contracted with various branches of the military work with all military personnel from basic training to day to day injuries. Work with athletes at a particular school and sometimes even a particular sport. Anything from injury prevention to practice and game coverage. Keeping employees working at their full potential. Athletic trainers in this setting work to improve employee health and reduce company insurance costs. NFL, NHL, WNBA, NBA, MLB, in all of the professional leagues, and each team has an entire athletic training staff treating injuries, providing game and practice coverage, and keeping athletes healthy on a day to day basis. Think, Minnesota Ballet. They have an Athletic Trainer on their staff treating all of their athletes. Police academies, law enforcement agencies, fire and ambulance crews. In this setting making preventative injury plans, developing emergency action plans, performing initial fitness assessments, and treating injuries are all part of the job description.